Nic Billman, his wife, Rachael, and their four children founded Shores of Grace Ministries in Recife, Brazil, where they daily live out the compassion of Jesus for prostitutes, transvestites, the homeless, and street children. Together, Nic and Rachael have produced eight worship albums, and they regularly lead worship and minister around the world. Find out more at www.shoresofgrace.com. 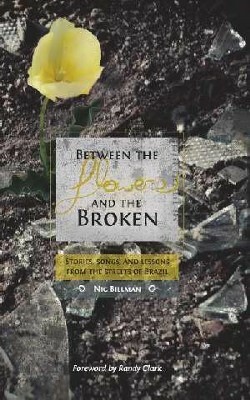 I'm the author/artist and I want to review Between The Flowers And The Broken: Stories, Songs, And Lessons From The Streets Of Brazil - eBook.